PTS Bluetooth Beacon Systems include everything you need to start using Bluetooth Beacon technology today. We offer bundled systems, Bluetooth Gateways, Bluetooth Beacons and the software needed to captrue beacon data. Bluetooth Beacons are BLE (Bluetooth Low Energy) transmitters that require very little infrastructure to setup and offer very long read ranges. Bluetooth Beacons broadcast their data to nearby Bluetooth Gateways to identify and interact with them. This enables BLE devices to be used in a wide variety of different applications, usually involving the tracking of an item or person. BLE devices are battery powered, and can function for dozens of months straight without requiring a change in battery. 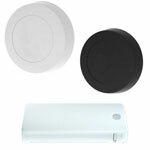 Bluetooth Beacon Gateways are bluetooth enabled readers that receive transmitted data from nearby Bluetooth Beacons. 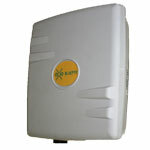 Beacon Gateways typically have read ranges of 100 - 300 meters and can transmit received beacon data to the destination of your choice. 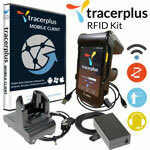 They can also be used to pinpoint where a tagged item or person may be. 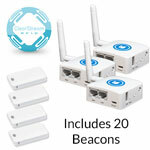 PTS offers a wide selection of Bluetooth Beacon Gateways from BlueCats and BluEpyc. Bluetooth Beacons are the centerpiece of Bluetooth Beacon systems and placed on items or people to identify what and where they are. 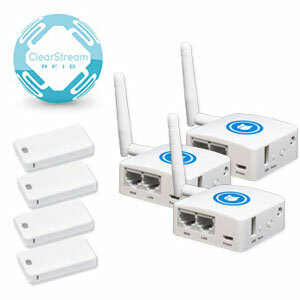 Similar to an active RFID tag, Bluetooth Beacons are powered by a battery and broadcast their data to nearby Gateways, which can then pass this information along to a backend software or system such as our ClearStream Software. They come in all shapes and sizes and can be used to broadcast different types of data. RFID can serve as an add on to exiting beacon setups, or used as an alternative depending on what you are looking to track and how you need to track it. PTS offers Mobile and Fixed RFID Systems featuring best in class hardware and our own industry proven TracerPlus and ClearStream software to best suit your growing needs.